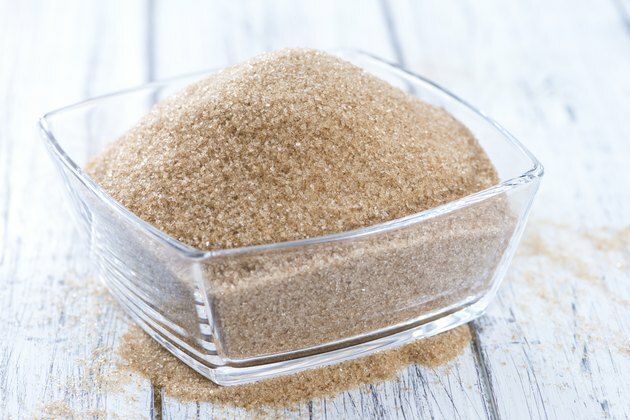 What Are the Benefits of Brown Sugar As a Skin Exfoliator? Most healthy diets teach us to steer clear from sugar intake. Instead of ingesting your cupboard’s sweet ingredient in a batch of cookies, try using it topically. Brown sugar as a natural exfoliator has many benefits. Plus, you can sneak a taste while treating yourself to an at-home spa experience. With expensive exfoliators on store shelves, infomercials and spas, you may feel that keeping up with healthy skincare is hard on your wallet. Brown sugar is a low maintenance scrub that works just as well. A bag of brown sugar is very affordable and can last for a number of shower sessions. Not only will it keep your wallet full, it also fills the bathroom with a delicious scent. Salt scrubs are sometimes dangerous to your skin as the size of the grain can cause microscopic tears. Since brown sugar has smaller particles, it is gentler and safer. Brown sugar can also be used as an exfoliator on your face or for sensitive skin because it is softer than regular sugars. However, it is also strong enough to scrub away dead skin cells and make way for the healthier, glowing skin to show through. Brown sugar contains glycolic acid, that fights bacteria. Glycolic acid is an alpha-hydroxyl acid, which is important in keeping your skin vivacious and healthy. Brown sugar gives you younger and fresher looking skin by breaking down glue-bonded skin cells which supports cell turnover. It also helps to improve sun damage and offers support to aging skin. Certain exfoliators can leave your skin dry and dull. Brown sugar is a natural humectant so it absorbs moisture from your environment and deposits it into your skin. Hydrating and conditioning, brown sugar helps to keep the moisture locked in. It also guards your skin from destructive toxins and keeps it healthy, nourished and glowing. What Are Some Natural Preservatives?